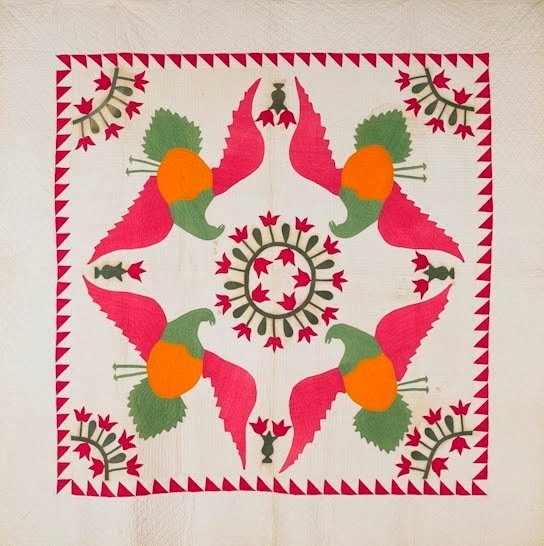 This colorful antique quilt top was a lucky find. It was almost hidden in a multiple quilt lot at an auction but I had a feeling it was pretty fabulous ... and I was right! 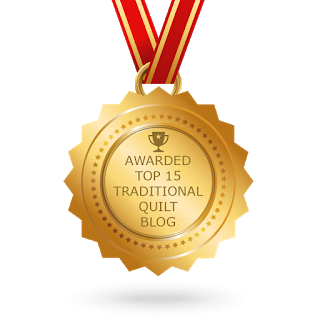 This quilt is one of my trunk show stars! The top is from the 1830s and full of amazing early fabrics. Look at the bright yellow/orange serpentiney print, it may be dyed with quercitron. Look at the indigo blue fabric that looks like it was just printed. And check out the "eccentric" print -- a variation of the Hoyle's Wave pattern. 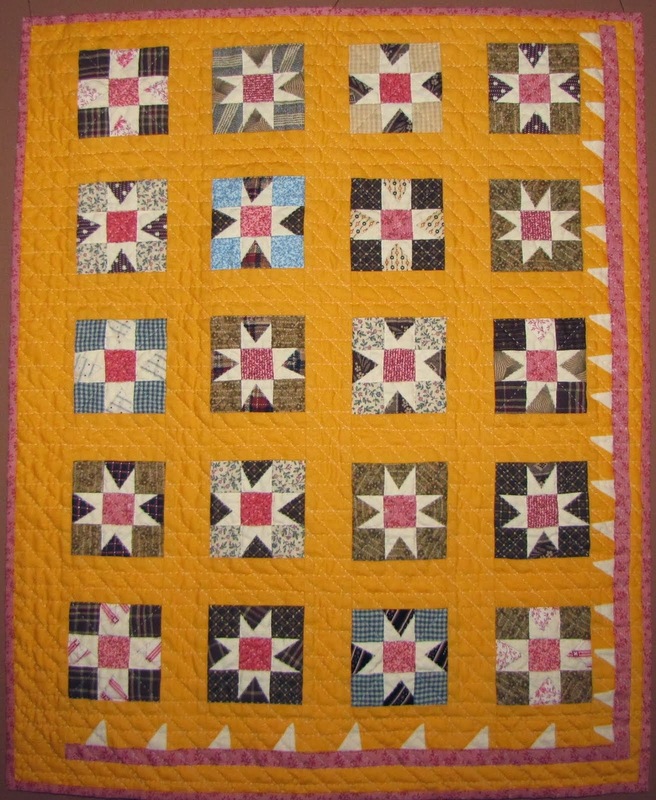 And check out the mitering on the pieced piecing on the pink stripe. Enjoy.